The heart of this seminar is the practice of techniques that allow you to change life patterns held in place by core, genetic, historic and soul beliefs, either self-imposed or externally imposed. These changes happen in a relaxed Theta brain wavelength state. This practice can quickly reveal systems of belief, showing the body how to replace limiting beliefs or feelings with positive ones through the Creator of All that Is. We use the ThetaHealing technique to change the underlying limiting core programs and beliefs held in our subconscious, thereby transforming ourselves and bringing us health, happiness, and personal growth, allowing us to create the lives we have always wanted. In this 3-day seminar you will learn how to access the theta brain wave to heal, change and manifest. 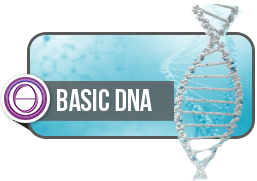 Tuition includes the ThetaHealing book and Basic DNA Manual and a certificate upon completion. When you register below by clicking the pay now button, additional information will be sent to you. Email Kathryn at create@wholelife.coach with the dates you will be attending.